I work in a nursing home and have for the last 7 years. Wow! I didn't realize that it had been that long. I am a registered dietitian that works with patients in long-term care and short-term rehab. I love my job and don't see myself doing anything else (besides my blog career which I love just as much!). At least 1/3 or 1/2 of the patients that I work with have dementia or Alzheimer's disease. It is very common in the industry that I work in and I have learned a lot in my years in the field how to best help these patients. There is a certain way to talk to them, certain way to go about their nutrition, etc. 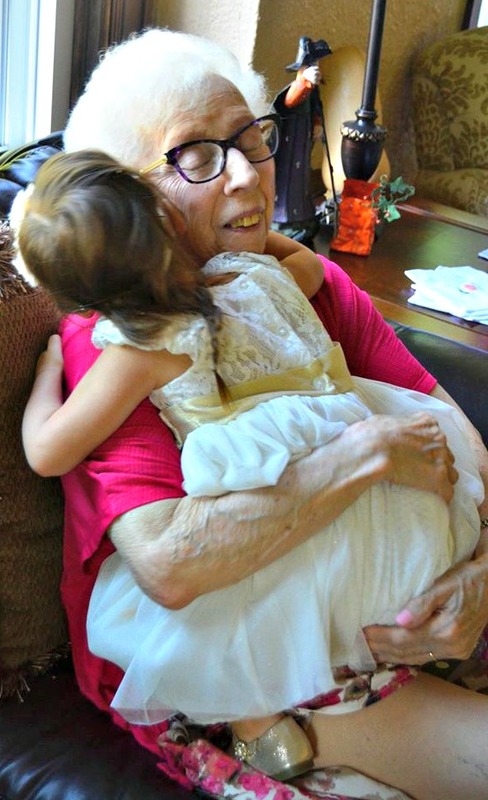 My favorite elderly person in the world who just passed away- my Busia (grandma) with Adalyn! Thankfully, Busia's mind was super-sharp right till the end. Some of the patients that live at my nursing home are slightly demented but still know what is going on. Some of the patients are more severely demented. My office is now within the activities office at work and I see a lot of what activities does to help patients with dementia. they have a special program which has been proven to work very well with dementia patients. 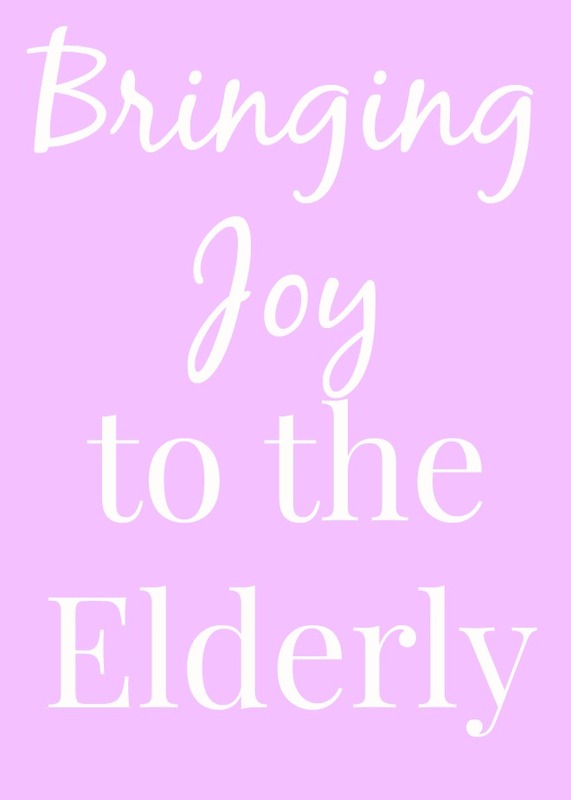 Some of the activities that can be beneficial for patients with dementia are making flower bouquets, folding clothing, playing with dolls and other toys, etc. They find that it can be very beneficial for people with dementia to do things that they used to do when they were younger. It is quite an amazing program. There is a lot more to it of course but I just see certain parts of it being a dietitian and having my own work to do. I recently found a great option for those in my nursing home to enjoy called HASBRO'S JOY FOR ALL™ Companion Pets. They have a dog and a cat stuffed animal that help to bring happiness and fun for the aging population. They are for ages 5-105! They make noise that can be turned on or off. They have realistic, soft fur that feels like a real cat or dog. They have built in sensors that respond to motion or touch. These are great for the elderly population that cannot take care of a real pet but craves having a companion. They respond to petting, hugging and motion like real animals! I was sent these as part of a blog campaign and have decided to donate them to the activities department at my work where the patients with dementia can use these animals and enjoy them. They can be used for all resident's at the nursing home but I think that they would especially be helpful for those with dementia. We have a couple people that would especially benefit from these animals that I work with. If you have aging loved ones, consider these animals for them as they can bring a lot of joy in their lives. For 10% off your JOY FOR ALL Companion Pet purchase, use the code: JOY2016.